» How Do Cats Show Love? If you’re a cat owner, you probably don’t need anyone to tell you that your furry feline friend loves you. When your kitty is sitting on your lap, purring up a storm, what else could they be feeling? But, are cats actually capable of feeling love? If so, how exactly do they show their love? How Do Kittens Show Love? When we ponder how cats show their love to us, it begs the question as to whether cats are actually capable of the emotion we humans call love. As a professional animal trainer, I often see owners of miscreant pooches ascribe human thoughts or emotions to their animal’s behaviors. Known as anthropomorphising, this often hinders us from getting to the actual root of the behavior. 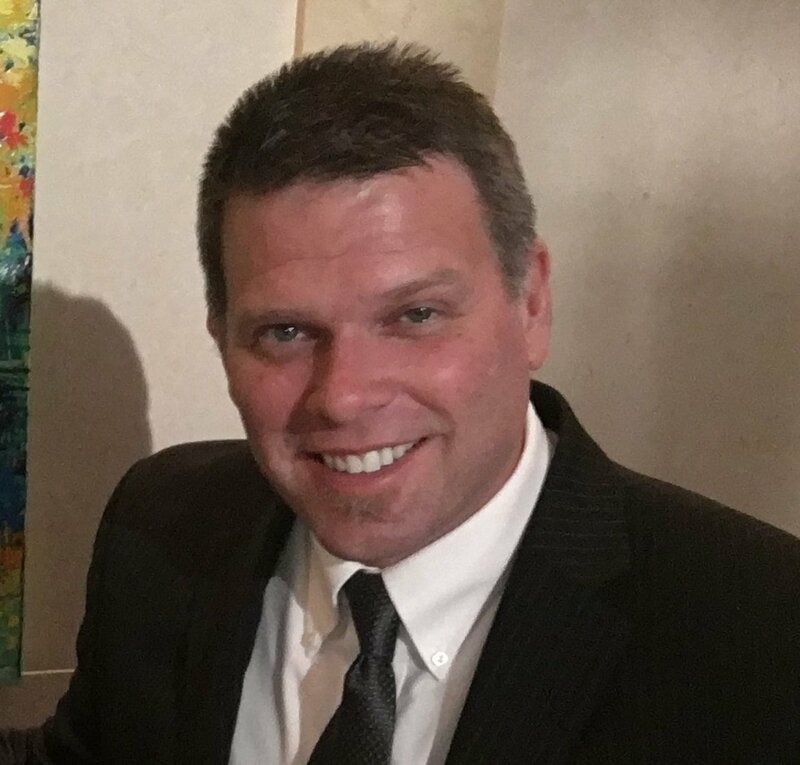 For example, an owner might describe how, when they returned home, it was obvious their dog felt “guilty” because it was cowering after tearing up a favorite pair of shoes. By assuming the dog knows human “right” from “wrong,” the dog owner overlooks the actual issues involved. What might really be happening is that the dog is bored or nervous and has no suitable chews or other ways to dissipate its energy. The pup might also have learned that when mom or dad comes home and has that particular look on their face (because they’re upset about their shoes), its trouble time! Similarly, if we assume a cat feels a certain way, no matter how obvious we might think the behavior looks, we can miss what’s actually going on. What we really need to know is whether there is any hard scientific evidence that cats can, indeed, feel the emotion of love. In fact, there is. Perhaps no stronger love exists than that between a mother and a baby. We know a mom feels love when they pick up their newborn because they can tell us that’s what they’re feeling. It turns out that these reported love emotions coincide with the release of a particular hormone known as oxytocin. Oxytocin is often referred to as the love hormone because, in the first interactions between a human mother and her baby, it creates bonding feelings and helps mom to release milk for baby’s first meal. Likewise, we know humans can love dogs because dog owners tell us they feel love for their canine companions. It is no surprise, then, that when scientists set up an experiment where people would sit and pet dogs, those people were found to experience a surge of oxytocin into their bloodstream. The surprise was that dogs, too, had a measurable oxytocin release when being petted. Dogs can feel love! What about cats? Recently, a professor conducted his own, non-academic, experiment to see if he could demonstrate a similar results in cats. As a cat lover, he found what he expected: cats also experience a release of oxytocin when petted by their owner. While the levels of oxytocin did not, on the average, spike as high in cats as dogs, the experiment proved that cats do respond to human contact. Cats do love us, even if they are a little more aloof than dogs. Now that we know that cats can actually experience love, how do they show it? The following list shows some of the primary ways cats demonstrate their love towards their pet parent. If you ask almost anyone to name just one thing cats do, they will probably say purring. However, while this may be something cats are famous for, the precise mechanism by which a cat purrs remains unknown. Research suggests that purring involves both rhythmic neural activity in a specific part of the cat’s brain and the vibration of its vocal cords. It is also known that no cat species can both purr and roar. It was once thought purring or roaring in a cat species was dependent on whether the hyoid bone in their larynx (think small bone above the Adam’s Apple) was “ossified,” meaning it was composed completely of solid bone. Small cats, with an ossified hyoid, can purr, while large cats, such as tigers and lions, have a partially ossified hyoid. They can roar but can’t purr. However, the snow leopard has an incompletely ossified hyoid like other large cats, but purrs and doesn’t roar. The mystery of the purr continues. When you’re petting your cat and it rubs its face up against you, it is showing you affection through a behavior known as head bunting. Cats have scent gland on their cheeks and foreheads. By rubbing against you, they are leaving a little of their own unique scent behind. Bunting is actually a form of territorial scent-marking. Both wild and domestic cats travel throughout their territory and rub against objects to leave their scent and let other cats know to stay away. After a long day at work, there’s nothing like having someone you love run up and greet you when you walk through the door. Many cats do exactly that. Cats are creatures of habit and routine. They know your schedule better than you. Cats will often solicit play and affection from the people they love. They do this by rolling on their back and slithering around. While it may seem gross to us, cats don’t bring the mice they catch back to just anyone. This behavior comes from a mother cat’s instinctual drive to bring prey back to its kittens. For house cats, this same drive can lead them to bringing back a juicy morsel to the person they love the most: you! Perhaps more than any other part of their body, tails are how a cat speaks to the world. A cat’s tail is another way a cat can show they love you. Cats will brush up against someone they love and curl their tail around them. The next time your cat keeps putting its tail in your face, remember it’s just trying to make sure you get the message that it loves you. For many animals, social grooming is an important bonding behavior. Although most common in mammals, grooming has also been observed in birds and even insects. Cats that are close companions will often groom each other. As the following video shows, owners of cats can also find themselves the target of a cat’s social grooming response. If your cat wants to groom you, it’s a safe bet they’re pretty keen on you. You can learn a lot about what a cat likes and loves just by watching where it sleeps. Most animals will only bed down where they feel completely safe and secure. In the wild an animal that’s asleep is very vulnerable. Their choice of a nesting site could be a life or death decision. Domestic cats have it much easier. They can sleep pretty much anywhere in your apartment or house without fear of harm coming to them. However, they still retain that instinct to only sleep where they feel safe. The next time your cat cuddles up in your lap to grab forty winks, take a minute to appreciate that they could have chosen so many other prime spots. The fact that they are sleeping in your lap is a big show of their love for you. Cats generally chirp when they are in a good mood. One thing that will put a cat in a good mood is seeing someone they love. Oftentimes, if you approach your cat while they are sunning themselves on a window ledge, you can hear them chirp as you approach to pet them. They see someone they love and can’t help but tell you about it. 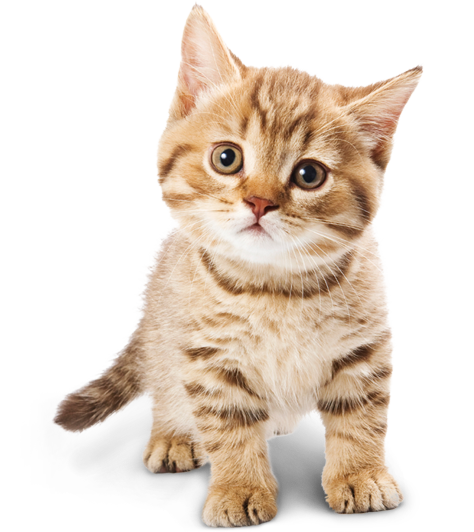 Kittens, being little cats, share many of the same behaviors as grownup felines. It makes sense that the ways kittens show their love isn’t all that different than adult cats. Let’s take a look at video of purring kittens that would give any adult cat a run for their money. How could anyone say there isn’t love there? The main difference between kittens and adult cats is that kittens have yet to define their cat-language skills. As the kitten matures they refine their communication and develop their own, distinct personalities. What this means is that a kitten that chirps a lot or bunts only rarely may be just the opposite by the time it reaches adulthood. However, one thing is for sure: your cat will find its own, unique way to show you that it loves you! 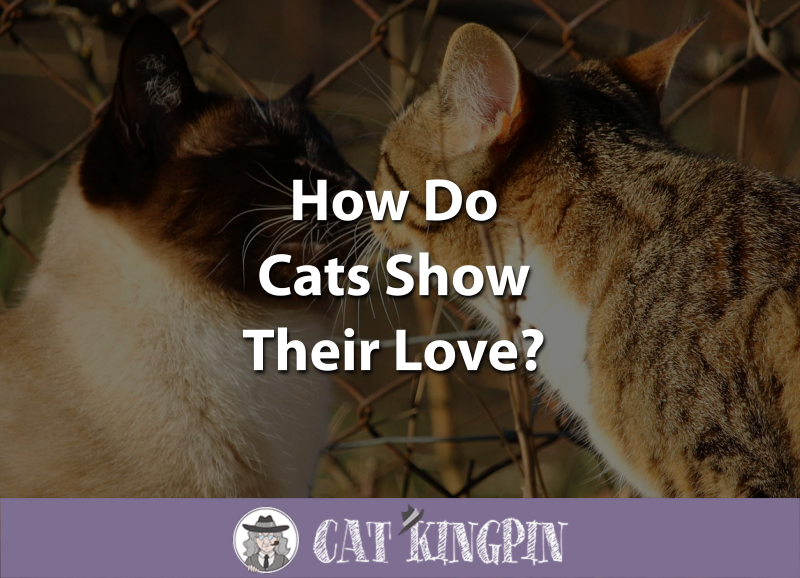 So, How Do Cats Show Their Love? The behavior of cats is rich and complex. Science has shown that cats are capable of love, and they have many ways to show it. How to Speak Cat: A Guide to Decoding Cat Language is a great book that will help you understand just how your cat is trying to tell you that they love you. Another book, The Secret Language of Cats explores all of the cat’s body language, so you can decipher all of their love letters to you. And while we’re on the subject of love, check out The Life and Love of Cats, by Lewis Blackwell, which takes the reader on a 9,000-year journey chronicling our relationship with cats since they were first domesticated. Do you have a cat that’s a regular lovebug? Does your cat or kitten show you they love you in a funny or unique way? Please tell us about it in the comments below; we’d love to hear from you.